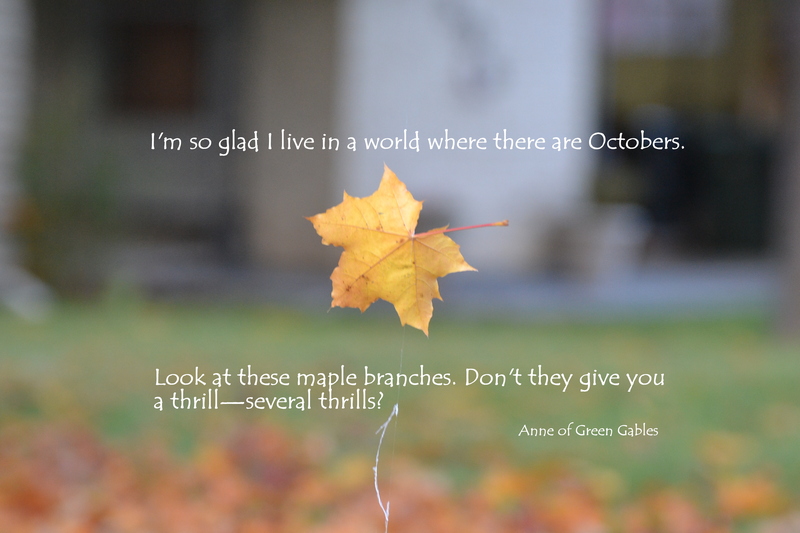 This entry was posted in Quotes and tagged beauty, gratitude, lmmontgomery, october, quote by alivingpencil. Bookmark the permalink. It’s nice to know that there are Octobers *somewhere* — even if they don’t quite make it as far south as Phoenix! 🙂 I get my vicarious October thrills from everyone else who posts lovely photos of the changing leaves, and celebrate the spirit of the season with lots of pumpkin everything.